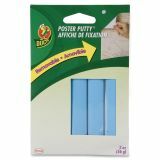 Great for temporary mounting of paper items such as posters and decorations. It’s a safe, clean alternative to tape, nails, glues, tacks and staples. It’s removable, reusable and nontoxic. Note: A minimum quantity of 264 must be ordered, and in units of 12 thereafter. 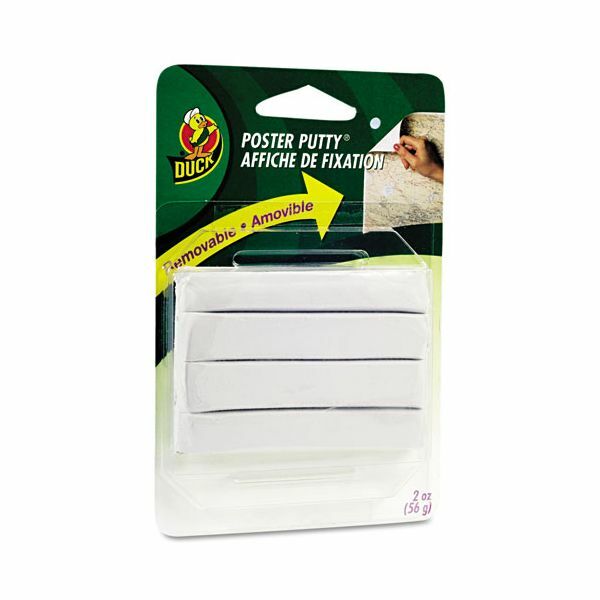 Duck Poster Putty, Removable/Reusable, Nontoxic, 2 oz/Pack - Great for temporary mounting of paper items such as posters, charts and decorations. 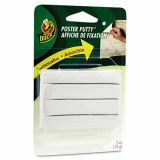 It’s a safe, clean alternative to tape, nails, glues, tacks and staples—won't damage mounting surface. It is non-staining on most nonporous surfaces as well as nontoxic. Putty will not dry out. It’s removable and reusable again and again. Nontoxic.